Cook's Concrete was started in 1945 and has since then been a family owned business which specializes in concrete patios in Gig Harbor, WA, concrete steps or concrete stairs apart from a dozen other construction services for homes and businesses. 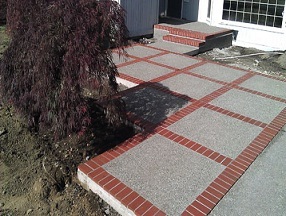 We provide excellent services and help you get the best concrete steps or concrete stairs along with concrete patios. 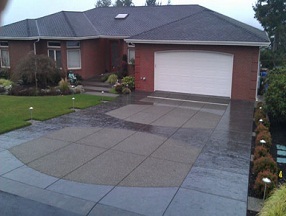 We maintain high levels of quality with our concrete patio services in Gig Harbor, and our decades worth of experience and reputation speaks for us. While we are experts in the field of concrete patio, concrete stairs or concrete steps services in Gig Harbor, we work and handle projects irrespective of their size. 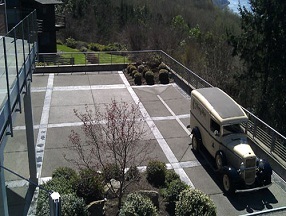 We provide services to both residential as well as commercial properties in Gig Harbor. With the popular trend of home customization, a number people are opting for our services, and among the most popular services are concrete patio construction and concrete stairs or concrete steps, and because of the beautification purposes, these are also the most successful additions. Apart from a concrete patio, another major service we provide includes concrete stepsm which aim to beautify the residential properties without excessive trouble being caused. Cook's Concrete serves Gig harbor, WA and beyond with services for concrete flat work, including concrete patio, concrete steps, concrete stairs and sports courts installations! To know more about our services and to book an appointment, call us at 253-777-1901.